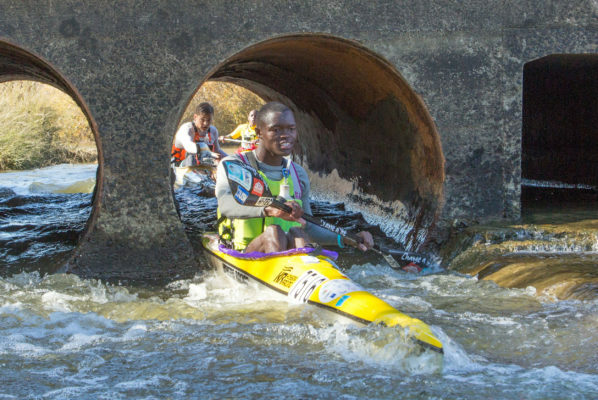 Paarl – As the 57th edition of the Berg River Canoe Marathon dawns, organisers, paddlers and supporters are excited by the new team format that has been adopted for the four day odyssey from Paarl to Velddrif from 11-14 July. The two-paddler team format that has been introduced in 2018 follows the trend of mountain bike and adventure racing stage races and the Berg becomes the first paddling event to embark on this new format. 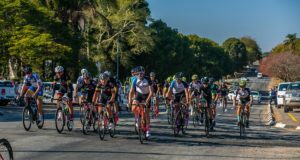 2018 also sees the event do away with the pre-race time trial which means that the race starts on Wednesday morning in Paarl in front of large crowds gathered on the Market Road Bridge in the winelands town cheering on their local heroes. Defending champion of the Berg Hungarian Adrián Boros, fresh from his gold and bronze medal winning exploits at the European Marathon championships on the weekend, has teamed up with Berg stalwart and last year’s runner up Graeme Solomon. The Team Bamboo Warehouse duo will go into the event as the out-and-out favourites for the crown, a crown that Solomon hasn’t won since 2001. The all international duo of British marathoner Keith Moule and Dutchman Joep van Bakel might prove to be the biggest threat to Team Bamboo Warehouse. Moule, who has completed two Bergs, including a seventh in 2017, joins Dutch champion Van Bakel, whose one appearance at the Berg ended in a sixth place finish back in 2015. The rest of the field will be fighting it out for the third and final podium spot; however there are a few strong as well as wily crews amongst the challengers. Gavin White and Bartho Visser will also present a tough challenge, as they combine all of their knowledge of local conditions. Anders Hart, who impressed in 2017 with a 14th place finish overall, teams up with Jermaine Pietersen to form another formidable young pairing. The Martin Dreyer Change a Life Academy Capensis duo of Mthobisi Cele and Mpilo Zondi are also going to be a team to watch out for. The pair stunned locals by finishing fourth and sixth respectively at last year’s race and will be fighting for an overall podium this year. Three-time defending ladies champion Bianca Beavitt has put through an entry in a mixed team with Crispin Thompson and along with Lisa Scott and Kevin Bouwer as well as Edgar Boehm and Flo Els they are the three mixed teams vying for the unique honour of being the first mixed pair to win a Berg title. There have been a number of solo entries for this year’s Berg and they too will be hoping to take home a title despite the shift in focus to the team event. Simon van Gysen, who finished second to 11-time champion Hank McGregor in 2016, will have the favourites tag firmly imprinted on his chest when he sets off on the four day journey to the West Coast. 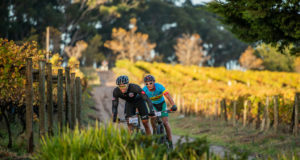 Despite the relieving rains through the Western Cape this winter, the second stage of this year’s race has been shortened due to a significant hyacinth block between Zonquasdrift and Gouda.